As discussed previously in the article ‘Internet Marketing Strategies to Get Your Business Noticed’, here we are to discuss about an internet Marketing strategy in detail. We focus on Email Marketing in this article. Email Marketing is an incredibly effective strategy for marketing. It helps businesses to market products and services through emails. A successful email advertisement needs to highlight the benefits of the products or services rather than its main features. To obtain desired results, effective email marketing strategies should be used. Extended Reach: When people join your business through ‘newsletters’ or ‘subscribe to updates’ you can reach them personally. Flexibility: Email Marketing Strategy can be implemented for any kind of business context. Minimized Risk: The cost is much lower. Simple automated systems are more affordable than implementation of the other marketing strategies. Easy to Learn: Email Marketing does not result into a steep learning curve. It is very easy to understand and implement. Algorithm Independent: Unlike other marketing strategies, Email Marketing is not dependent on Search Algorithms and Policy Permissions. Offers and Promotions: Email marketing is not limited to making sales offers. 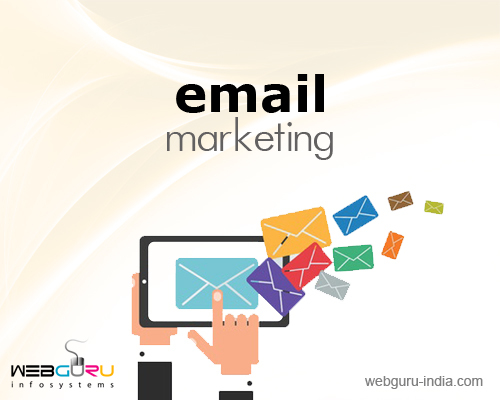 The basic idea behind email marketing is to generate the urge in the people to get a product. It can be in the form of a personalized discount coupon for the product they had once navigated through. It can be a general coupon for those users who have not visited the website for a certain period of time. Or it may also be a general promotion mail that is directed to all the customers. However, such a promotion mail should not be pushy or manipulative. Rather it should be helpful, informative and reasonable. Content: Software services and bloggers rely on content for Email Marketing. The content can be a report, a video, a content rich article or an info graphics. Most of the blog articles are made available publicly. But some of the articles can be accessed only after registration. This registration does not require payments to be made. It is a lead gathering strategy. The additional information provides an opportunity to customize the emails sent to them. Content marketing can be implemented irrespective of the business context. Consistent well written contents help the business to become a trusted source of information. Relationship Building: The primary reason for email marketing is to build a trusted relationship with the customers. It can be said that making offers and sharing content targets the same. But in this strategy we are emphasizing on sharing opinions on events that are not related to the business context. This helps to build a stronger emotional bond with the subscribers. Though this strategy runs the risk of distancing the people with opposing viewpoints, but it makes the relationship stronger with those having similar viewpoints. Sales increases based on trust that builds due to like mindedness. Writing creative and innovative emails will not make much of a sense if it has no readership. There are several tactics for building email leads. Advertisements: It is a simple, persuasive, non-personal public announcement by an identified business. It gets the word out about the product or service. Advertising are initially expensive, however they create consistent results gradually. Affiliations: Having affiliations to email banks can extend the reach of the promotional activities. Audience Expansion: Certain articles and resources need to be made accessible only after a valid registration. This will help to expand the email leads list. This will also help to create targeted mails and newsletters for different customer interests. Blogging Activities: Well written blogs establish authority with their helpful contents. Thus, they help to drive traffic into the website. They help to convert a part of that traffic into leads. Once a blog lists in the search results, it can drive traffic your way for days and months. Only sending emails about products or services are not sufficient. There are ample opportunities to overtake this mediocrity in email marketing. Sending only offers and promotional coupons will appear as pushy and manipulative. Sending only content rich articles may not have the desired effect. Emails on relationship building run the risk of losing a category of leads. Hence, these three strategies should be balanced well for bringing variety in the email contents and generate effective results. Is Email marketing really beneficial for stirring the consumers’ hearts into supporting a booming business?